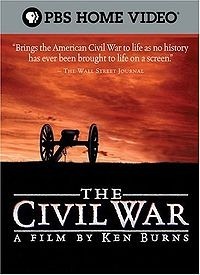 After a number of years, I recently re-watched Ken Burns’ iconic documentary The Civil War (the video streamed from Netflix splendidly). It’s a great series full of wonderful moments – Shelby Foote stealing the show, the pan-and-scan effect, and many excellent narrative readings. In this viewing, I paid special attention to the details attributed to the generals. Policies & politics aside, they were a set of fascinating characters. Robert Lee led the Army of Northern Virginia, in spite of being personally opposed to secession. In spite of some strategic blunders, he commanded brilliantly against larger forces. US Grant struggled at civilian endeavors but ultimately led the Union army to victory. … the men knew they were cut loose from their base of supplies, but Grant himself gave them confidence. 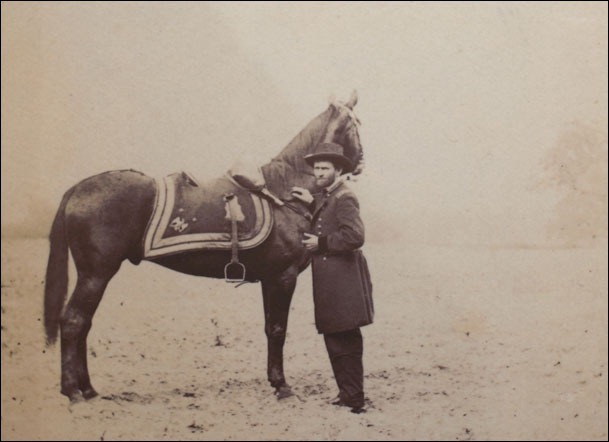 They believed Grant knew what he was doing, and one great encouragement for their believing that was quite often on the march, whether at night or in the daytime, they’d be moving along a road or over a bridge and right beside the road would be Grant on his horse – a dust-covered man on a dust-covered horse – saying “Move on, close up.” So they felt very much that he personally was in charge of their movement and it gave them an added confidence. I like this because from a leadership perspective it reinforces the principles of being seen often, engaged in the activities of the team, and up to your elbows in the details (dust-covered). A leader who stays engaged with day-to-day activities instills confidence and builds credibility. If the folks on your team are working long hours and late nights, it’s important to be there with them. If they are dust-covered, it’s hard to explain not being dust-covered yourself. This entry was posted in Leadership, Management. Bookmark the permalink. nice read to start the week. I definitely agree that managers need to get dusty. I loved the Civil War series when it first came out – a real education for someone not raised and educated in the USA, besides being beautifully done. Thanks for the reminder. It’s time to see it again. I remember Shelby Foote v. well. Apparently he made an impression on a lot of people and received a number of marriage proposals after the series first aired. BTW I am in the middle of watching Ken Burn’s Jazz for the second time. What an accomplishment. Beautiful, painful, educational, and a bit spendy (led to a lot of CD purchases). I read that he got a lot of criticism for what he did and didn’t include, but I say to those folks OK; go and do your version. On being dusty – couldn’t agree more. Funny thing – the dustiest leader I ever knew was called Rusty.